Like the islands themselves, Beaches all-inclusive resort in Turks & Caicos is renowned as "the last of the true exotics." 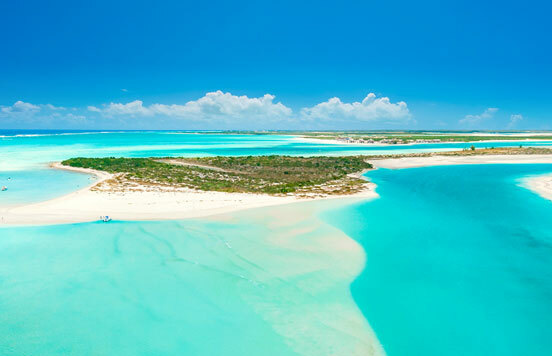 One glance at its crystal clear waters and 12 miles of powder white sand and you'll see in an instant why Scuba Diving magazine named Turks & Caicos one of its top two diving destinations in the world, and why TripAdvisor chose the beaches of Providenciales as the best in the world. For everyone who has ever dreamed of getting away from it all and finding a tropical hideaway far removed from all the hustle, bustle, fuss and muss of modern life-the Turks & Caicos is that rarest of discoveries, a true island escape. 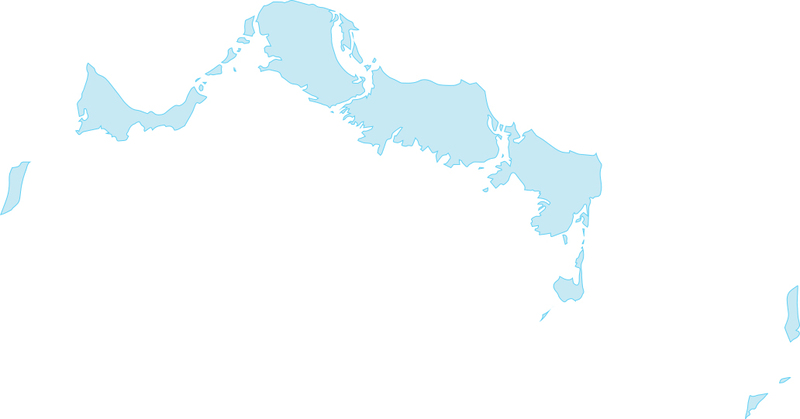 Envision 230 miles of sandy white beachfront, gently lapped by some of the clearest, aquamarine seas in the entire universe. With 40 islands to explore in this exquisite chain, only 8 of them inhabited by anything other than wildlife, you can really leave your mark by creating footprints in the otherwise untouched sand. Revel in the warmth of the sun, stake out your own palm tree, discover new shades of turquoise as you gaze your fill at the ever shimmering waters, close your eyes and let the cool sea breezes caress you and embrace the state of complete relaxation you've been seeking for so long. Grace Bay, Providenciales, Turks and Caicos. Turks & Caicos boast 1,000 square miles of reefs and some of the most impressive walls of coral in the Caribbean, making it one of the top 5 diving destinations in the world. 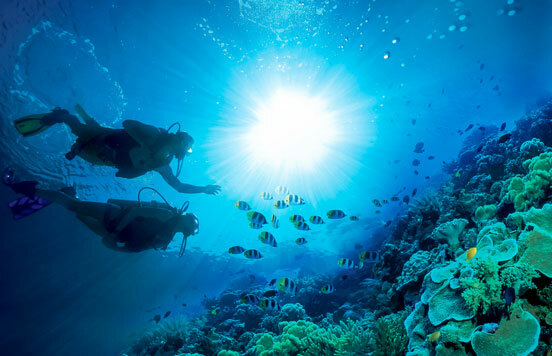 And best of all, at Beaches Turks and Caicos scuba diving is all included for certified divers along with the very best in equipment and PADI® certified dive professionals. From bird watching to whale sightings, Turks & Caicos offers something for every nature enthusiast. Here you can spot a multitude of richly plumed birds ranging from the Great Blue Heron to Flamingoes, numerous iguanas, and even Jojo, our local resident bottlenose dolphin. Turks & Caicos is home to some of the calmest, clearest turquoise waters in the Caribbean and at Beaches Turks & Caicos Every water sport imaginable is included with our vacation packages, our Aqua Center is equipped with all the amenities and qualified instruction, offering a vast array of all-inclusive water sports and the Caribbean′s most comprehensive Scuba Diving Program. 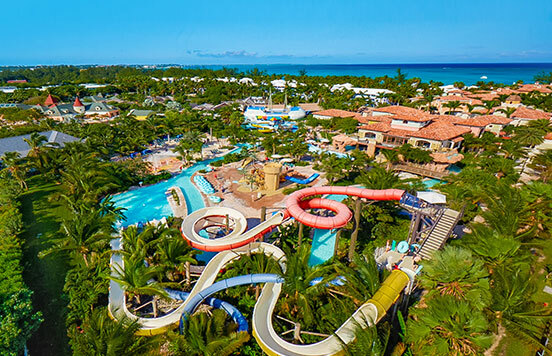 Beaches Turks & Caicos is home to the Pirates Island Waterpark, the biggest waterpark in the Caribbean, a fantasy world filled with gigantic waterslides, kid-friendly pools and swim-up soda bars. There are also water cannons, whirlpools and lazy river journeys, as well as the Caribbean′s only surf simulator. Have you ever thought about riding the waves? At Beaches you finally can and it′s awesome. The non-stop action waves in the SurfStream® surf simulator rocks. Feel the adrenaline at the most exhilarating waterpark in the Caribbean. Children all around the world love Sesame Street®. And, as a proud sponsor, Beaches Resorts are the only Caribbean resorts you′ll find kids vacations with a colorful cast of characters. Enjoy exclusive themed activities available as part of your Luxury all-inclusive vacation package. If you′re looking to relax and rejuvenate while on your vacation, then take a journey down the path to pampering at Red Lane® Caribbean Spa, where you′ll discover a serene sanctuary. This is where classic European spa rituals are infused with the truly distinct essence of the Caribbean. 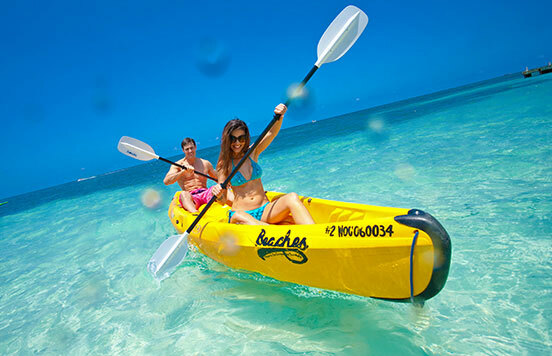 At Beaches, you can enjoy exclusive entertainment day and night as part of your Luxury All-Inclusive Vacation. 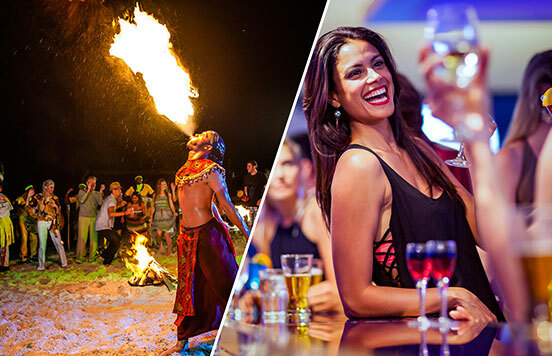 Every week Beaches throws extravagant beach parties featuring a delicious array of food and drinks, exhilarating fire eaters and limbo dancers, all under a canopy of stars and ocean breezes. 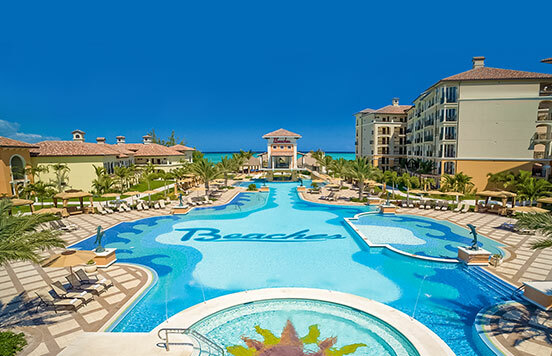 Voted Top 25 Hotels for Families in the World by Tripadvisor® year after year, Beaches Turks & Caicos offers the best all-inclusive family vacation. 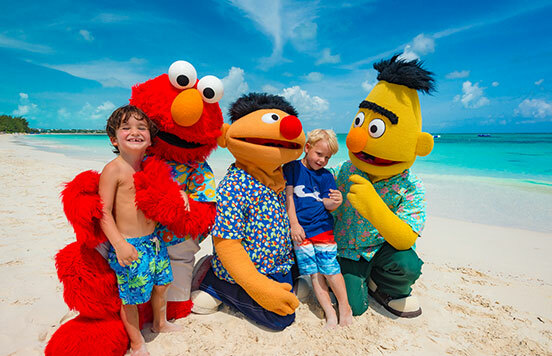 Enjoy endless land and water sports, Global Gourmet dining at 21 restaurants, the Caribbean’s largest water park, luxurious rooms and suites, and exciting family-friendly activities including Sesame Street® stage shows.